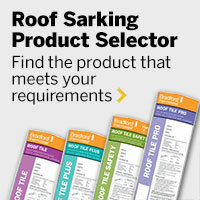 The following product recommendations provide general guidance on the suitability of installing sarking directly below metal residential roofing for warm summer climates, cold winter climates and beneath cathedral ceilings / skillion roofs. Based upon average building use and typical construction methods in accordance with the BCA. For project specific advice please contact CSR Bradford.